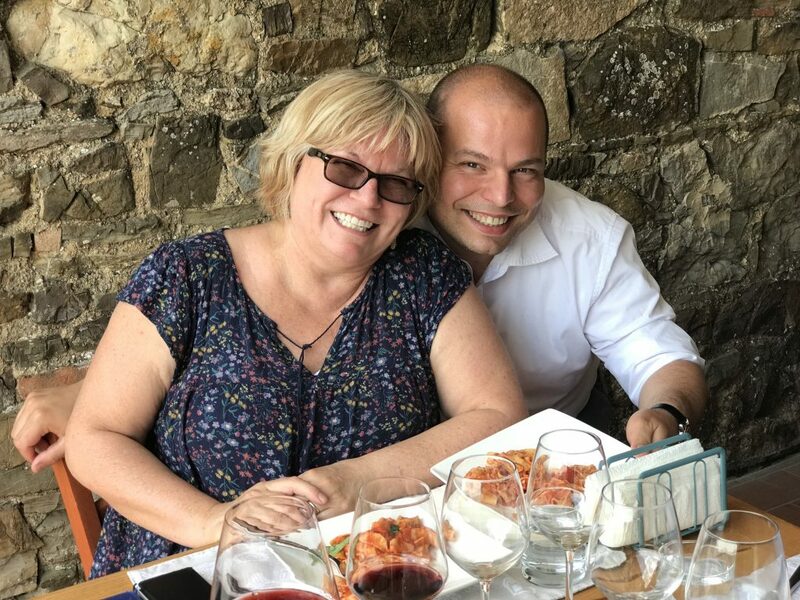 After spending a day on our own exploring beautiful Siena, Italy, our hosts Deb of Italy Unfiltered and her husband Massi the Driver picked us up at our hotel and we began our complimentary tour of Italian food, wine, and culture in the Chianti Region. As we got in the car, Steve confided in me that he’d already set his belt one notch looser in anticipation of the day. Deb of Italy Unfiltered and her husband, Massi the Driver. Of course, our first stop of the morning was for an espresso. This is a very Italian thing to do when you are having what Massi likes to call an “espresso deficiency.” I’m used to my Americano style coffee and still need a bit of milk in mine, so I ordered a caffe macchiato which is espresso with a dollop of foamed milk on top, typically served in a something that resembles a shot glass. Cafe machiatto was a great cure for our espresso deficiency. 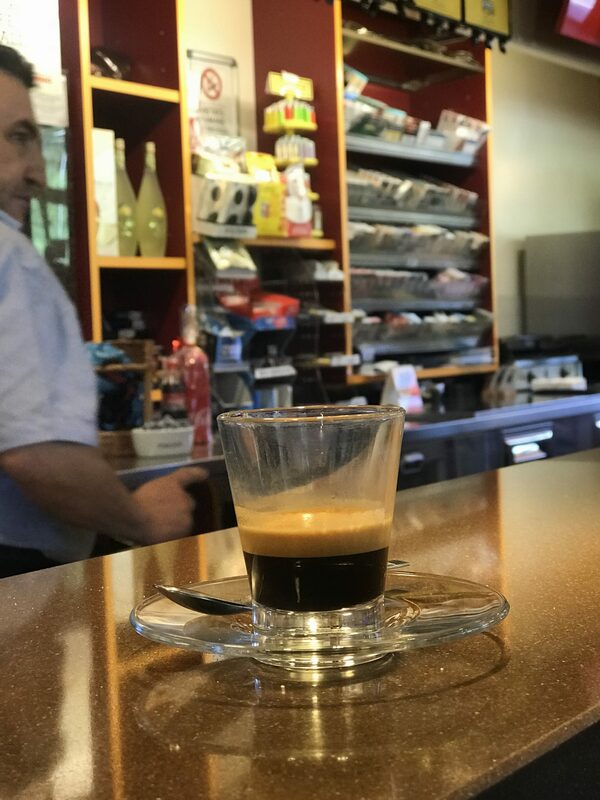 Now with the proper amount of caffeine in our systems, we headed down winding roads and up and down hills into the Chianti Clasccio region of Tuscany. The drive was incredibly beautiful and we were thankful that we had a personal driver and tour guide to not only tell us about the food and wine of the area but to actually get us there as there is no way we could have found this place by ourselves. The family home where we did our cooking class and explored their winery. When we arrived at our destination, Deb and Massi greeted the owners who appeared to be old friends and they welcomed us into their home and winery. 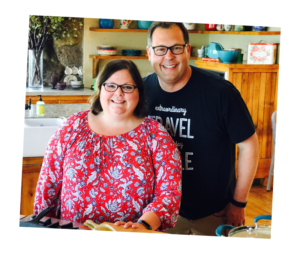 Our time with there began with a private cooking class. Steve and I laced up our aprons and we got right to work. 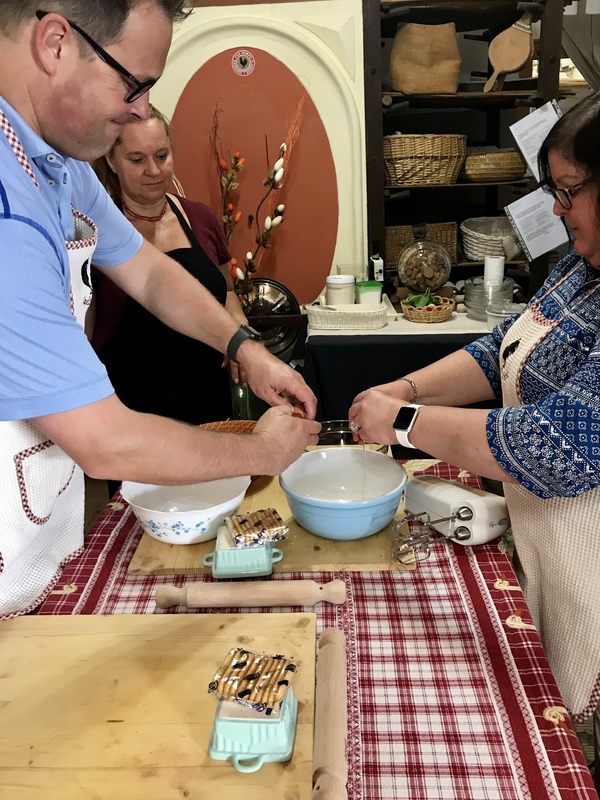 Our first lesson was in making traditional tiramisu, one of my all-time favorites. We “mostly” separated six eggs for our tiramisu. We mostly separated six eggs and began beating the egg whites with an electric mixer. Sadly, we had spilled just a touch of yoke into the whites which was enough to ruin it. No worries. We started again and the second time around was successful. As you can see, the the little bit of yolk that accidentally fell into the white ruined the process. 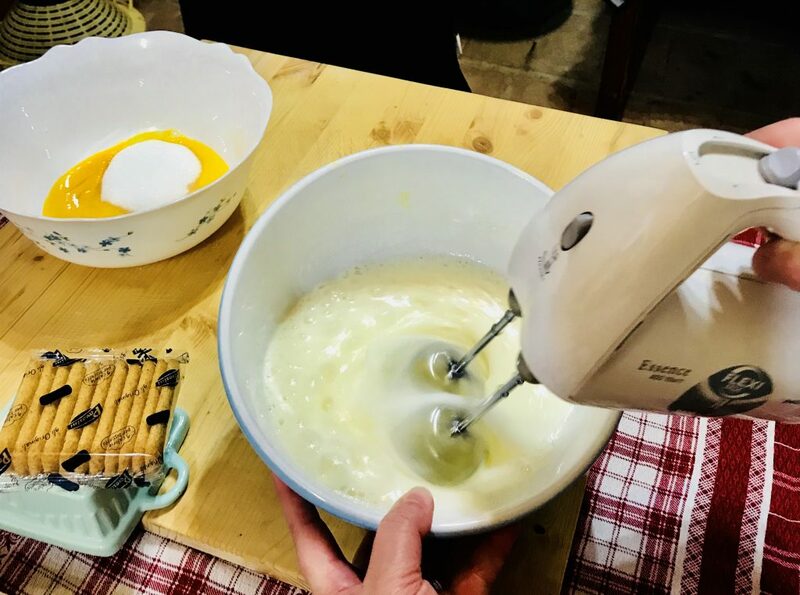 Steve beat the egg yolks with a bit of sugar and then we folded the whites and yolks back together along with some mascarpone cheese. Next, we dipped individual lady finger cookies in cooled espresso and placed them in a small, square dish. Then, we added a layer of the cream filling and sprinkling of cocoa powder before repeated the process again. Our tiramisu, ready to set in the refrigerator. We marked each our creations with a colored band so we could see which one turned out the best. Next, our instructor insisted that we take a few of the extra lady fingers and dip them in the left over espresso, then dip in the cream filling, and eat! Of course we had to try, I mean, we wouldn’t want to offend our host. 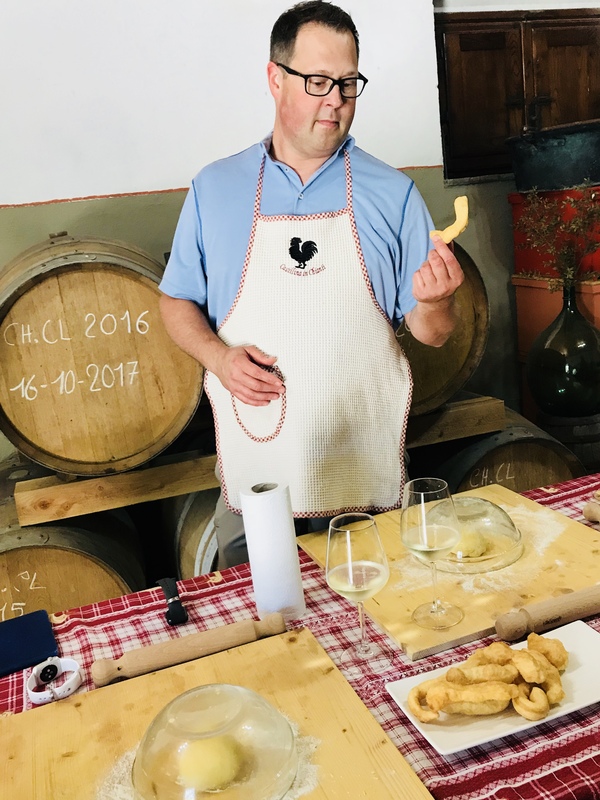 Then, because we’d worked so very hard on our tiramisu, our host broke out the Prosecco and served it with some fried pizza dough that had been sprinkled with sea salt. Prosecco and a snack? This was my type of cooking class. Steve got very happy when the glasses of Prosecco and the fried pieces of pizza dough came out for a snack. 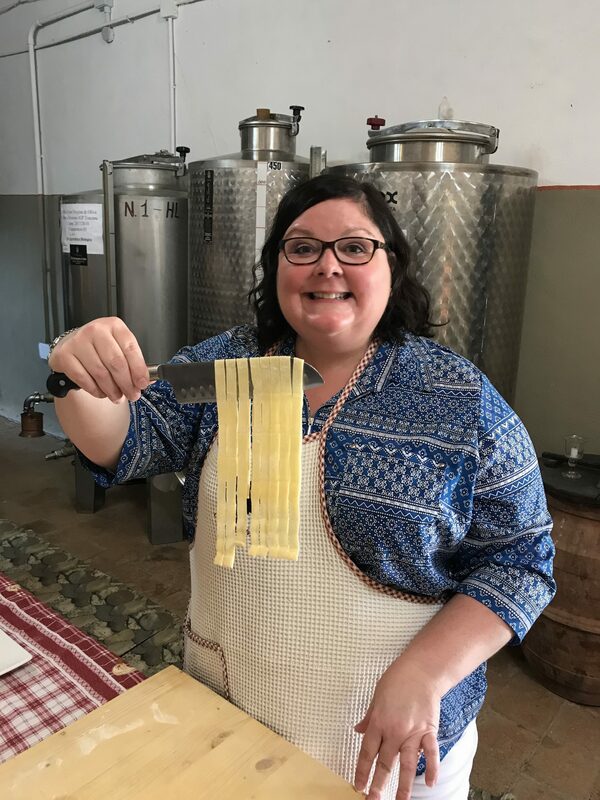 Next, we learned to make fresh pasta using semolina flour, farm fresh eggs, and just a touch of Tuscan olive oil. We kneaded the dough before rolling it into a ball and covering it with a bowl to prevent it from drying out. 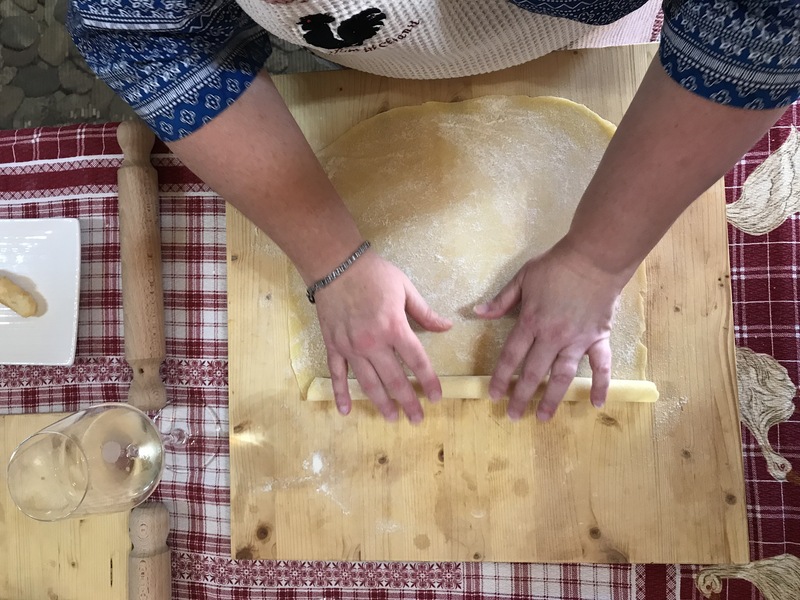 Next, we used a rolling pin to roll our pasta out into a long rectangle. Once the dough was smooth and thin, we rolled it like a scroll from the top to the middle, and then up from the bottom so the rolls met in the middle. After kneading and rolling the dough, we rolled it up from each end until they met in the middle. 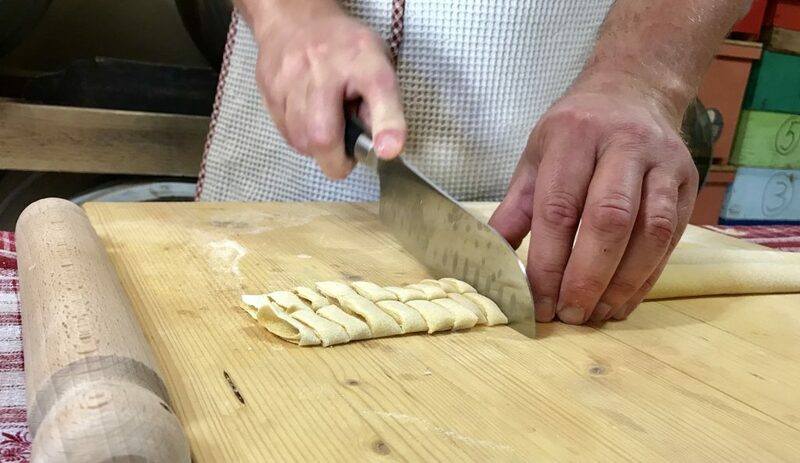 Then we cut the rolls into small strips, separated them with our cutting knife, and voila — we have pasta! Next, we cut the rolls into thin strips with a sharp knife. The fun part was slipping the knife under the noodles and lifting in the middle to see them all unrolled. Our third and final dish was traditional Tuscan bruschetta — that’s pronounced bru-sketta–which is an antipasto dish consisting of grilled bread topped with garlic and olive oil or other fresh things like tomatoes, basil, and mozzarella. 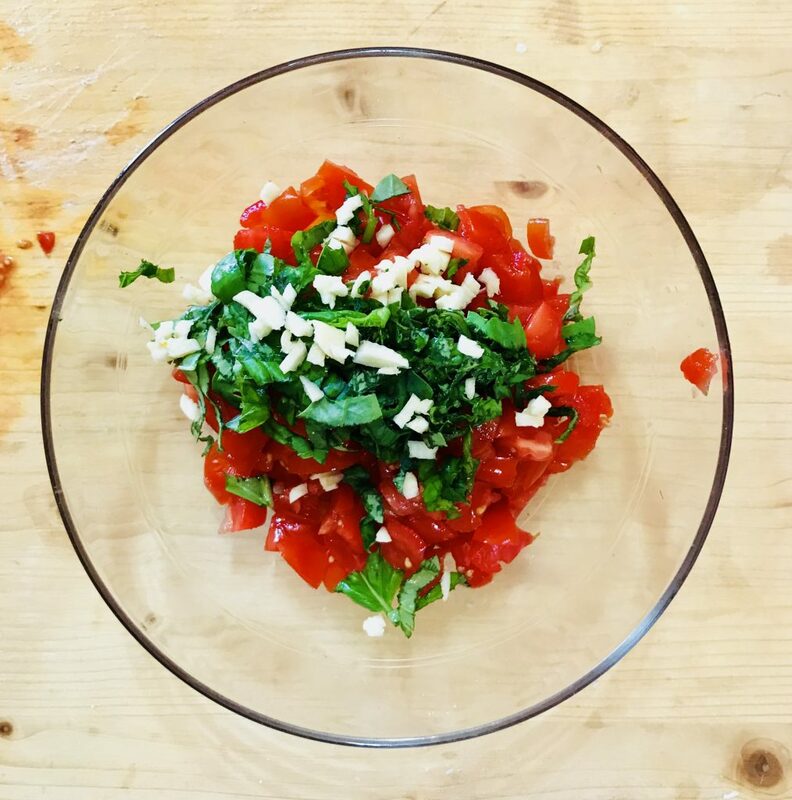 Tomatoes, basil, and garlic are the main ingredients in tomato bruschetta. I’ve made bruschetta many times before, but a new tip in our class is to leave any extra tomato seeds and juices on the board after cutting the tomato. These hold much of the acidity of the tomato and can make the bruschetta too runny. After our cooking class was finished, we wandered outside where Massi and Deb told us more about the gardens and vineyards on the property. We had fun checking out 50 year-old wisteria and some 100-year-old grape vines. The property was just beautiful — full of color and life. 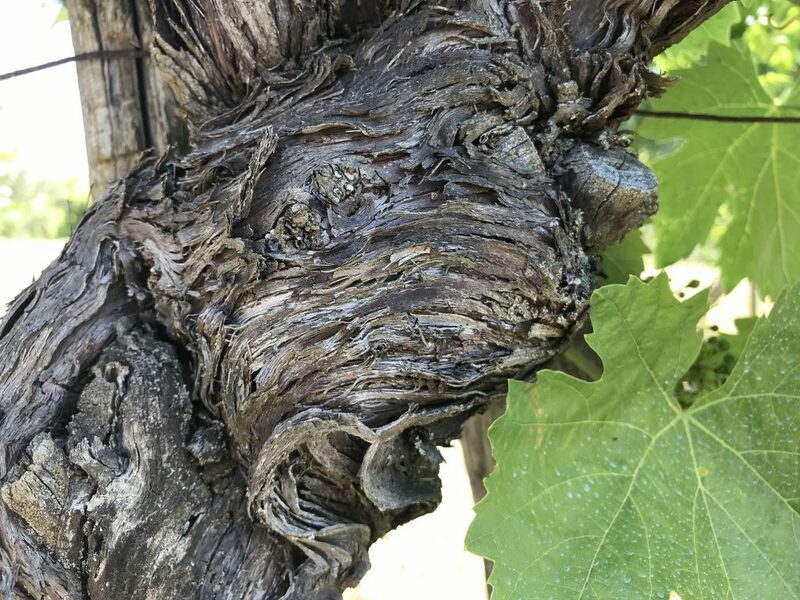 One of the 100-year-old grape vines. 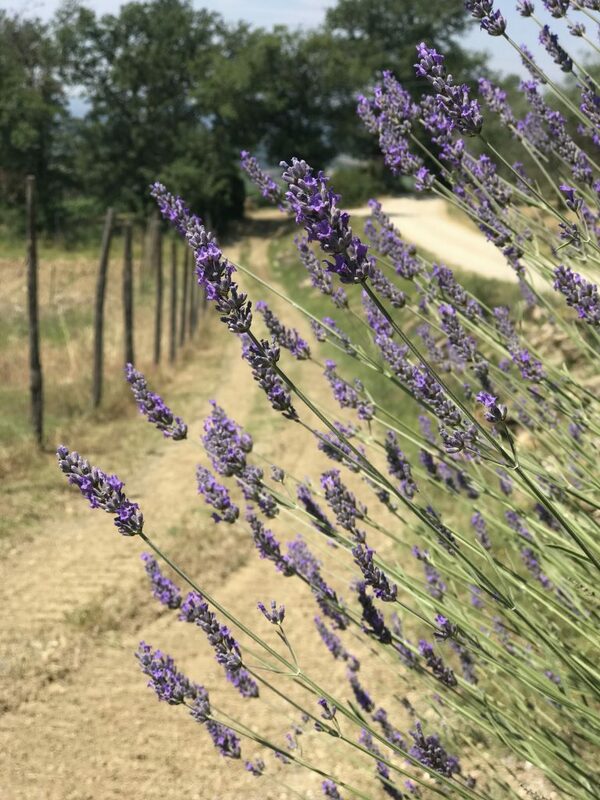 The property was filled with beautiful flowers and plants, including lots of fresh lavender. Then, we walked up a view steps to a patio where the table was set for the most amazing wine tasting and lunch. My jaw must have dropped when I saw the view. It was just incredible. This view was just stunning. 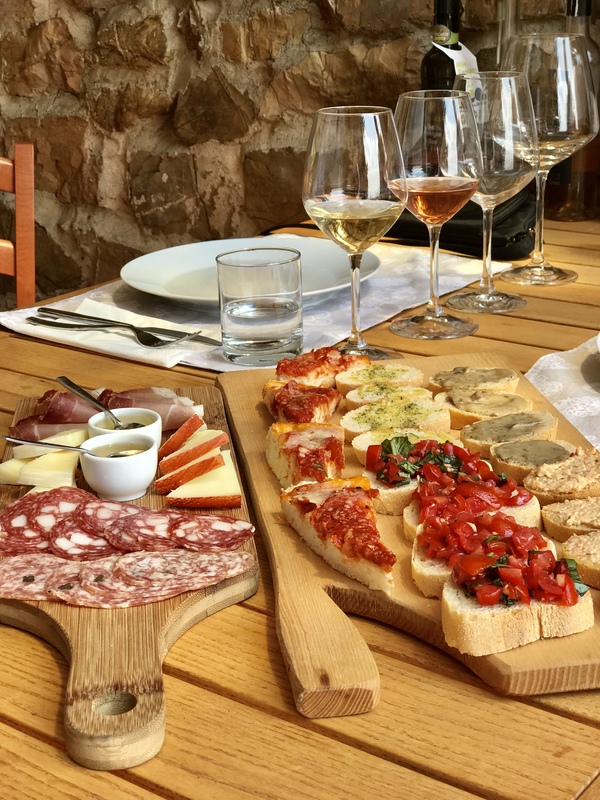 We began tasting wine, made right there on the property, along with the bruschetta we’d made and some other cured meats and cheeses. At lunch, we tried the bruschetta we’d made along with other pizzas, cured meats, and cheeses. Then, two types of pasta arrived, both using the noodles we’d made just a few minutes before. 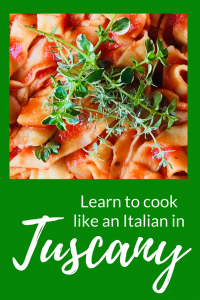 One dish had a mild tomato sauce with fresh torn basil while the other had a spicier red sauce and thyme. Both were delicious. Throughout our intimate lunch, Deb and Massi shared their expertise about Tuscany and tradition. 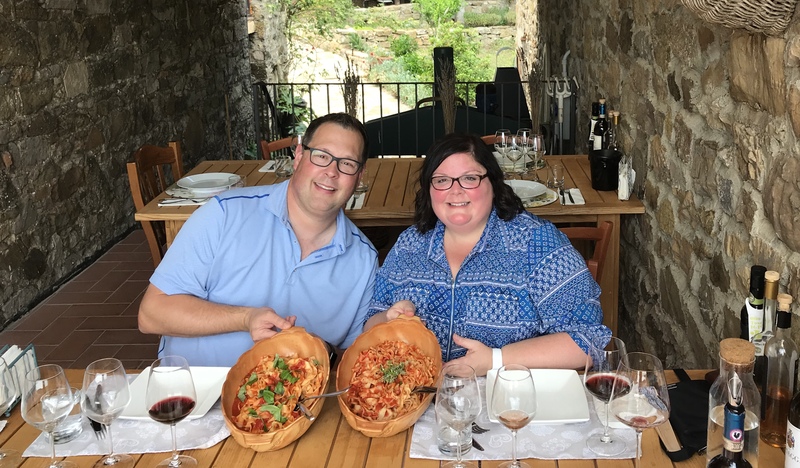 We learned so much about Chianti Classico wine, food preparation, and everything that goes into owning and operating a small, family winery in Tuscany. 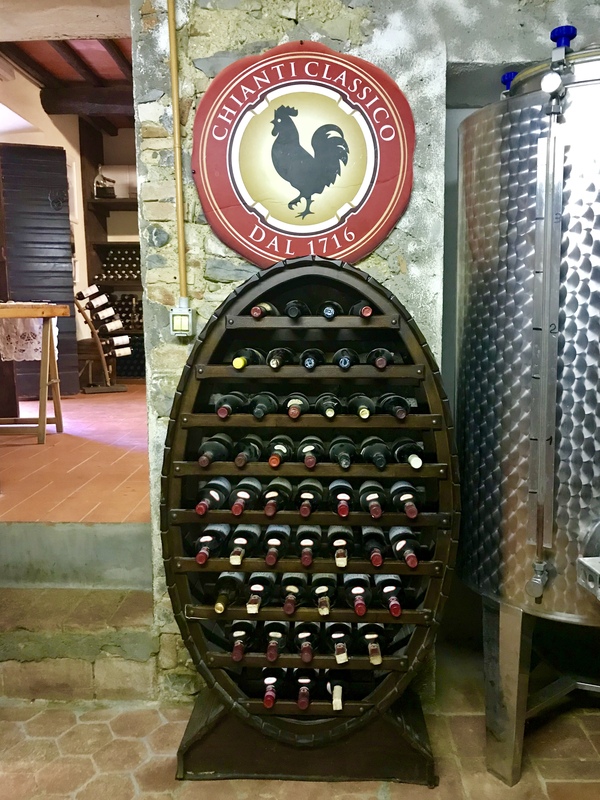 The black rooster is a quick and easy way to spot a Chianti Classico wine. 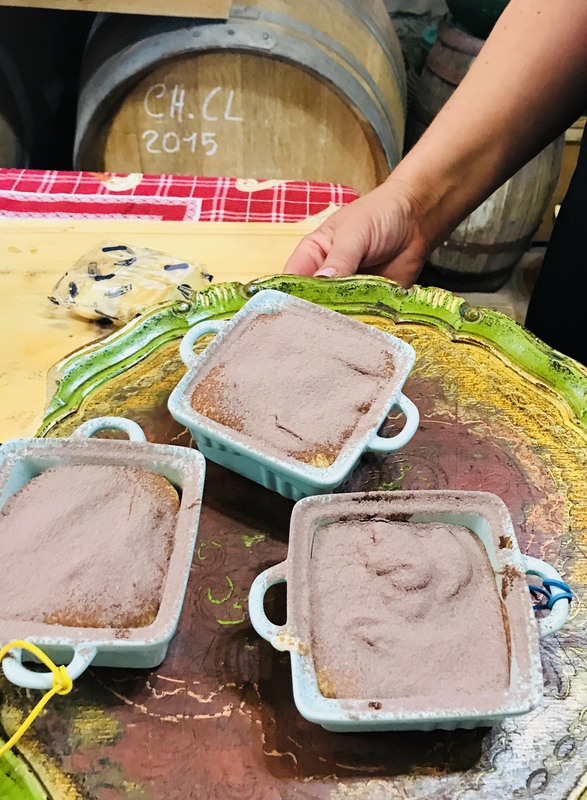 After a long and relaxing lunch which ended with sweet bites of our tiramisu, we headed into the winery where Massi told us all about how the wine is made, stored, and perfected. We had ample opportunities to ask questions and take photographs, things we don’t always have the opportunities to do when traveling in group tours. As we headed back to the car, I couldn’t help but think that this opportunity would not have been possible without the help of Deb and Massi. 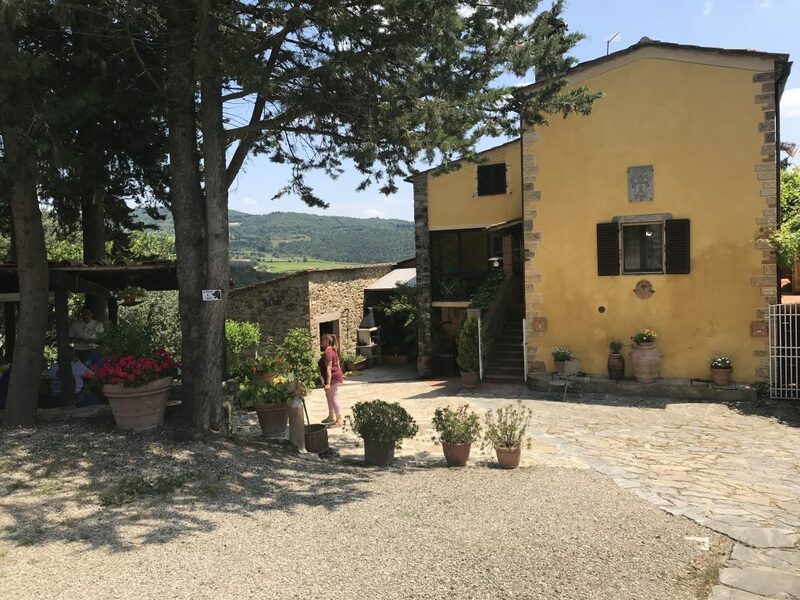 They knew this family personally and were able to provide us with a Tuscan experience that is not easily found on TripAdvisor or in a Google search. The personalized experience they gave us made our day special, and it was all the more special because we only did things we wanted to do. 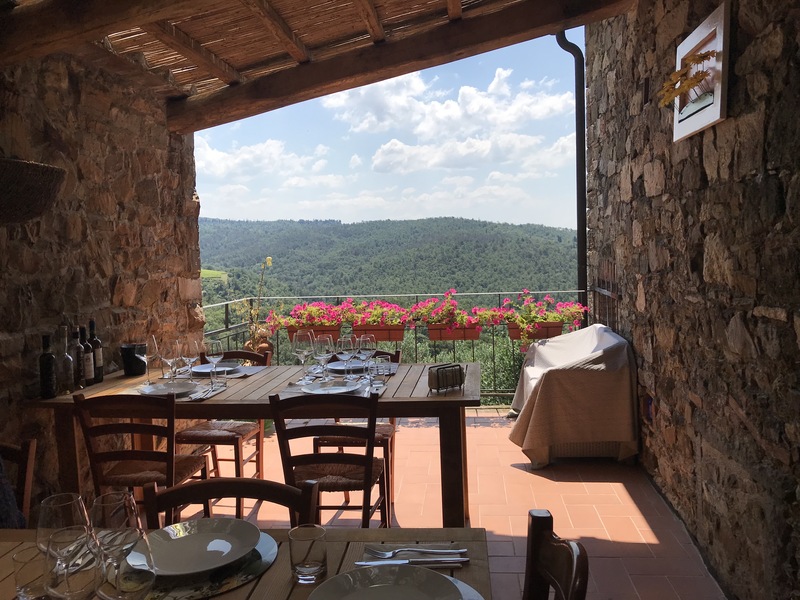 While the tour and transport services were provided to us free of charge by Italy Unfiltered and Massi the Driver, the opinions in this post are our own. To learn more about Deb and Massi’s services, email them at dlarsen5@icloud.com. 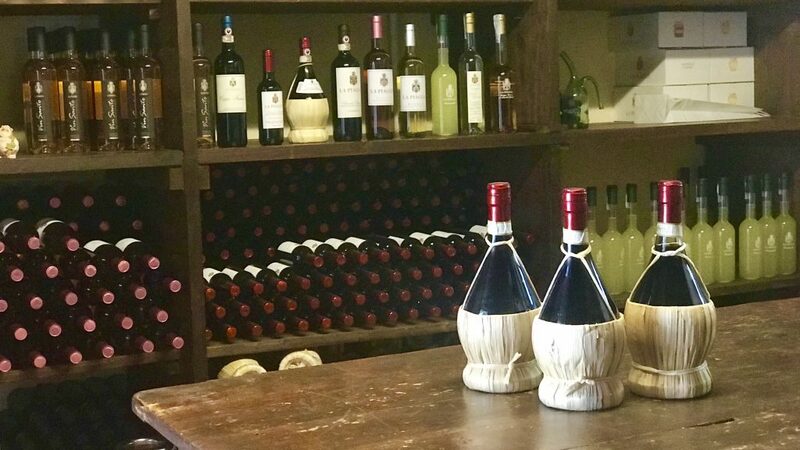 Watch a video about our day in Chianti with Deb and Massi at the link below. How we learned how to cook like an Italian on our trip to Tuscany. 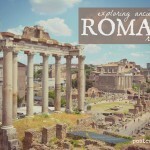 We've been invited to tour Italy with Deb and Massi the Driver and we can't wait!